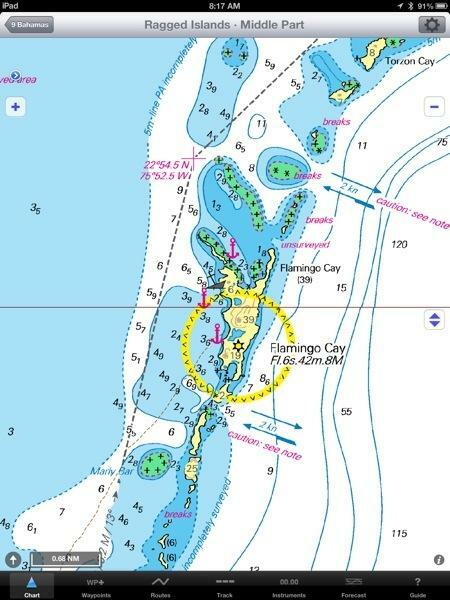 Twelve miles south of Water Cay we swiftly sailed with a 20-knot east wind on a close reach to Flamingo Cay. We found two beach-lined coves in which to anchor and so Rode Trip and Serendipity each took their own ‘slip’ for the night. (You can see on the chart the two indents, each with a lake behind on the land – Rode Trip took the southern indent and Serendipity took the northern indent.) On the chart these coves looked to be great protection from an east wind and we hoped we’d not experience that rolly swell again. Brian, Matt, and Jessica were anxious to get into the water to explore the shipwreck and reefs and find the day’s catch for dinner. I was happy to float around for a bit and then become designated dinghy driver. First course on the menu was cracked conch. Matt speared a nice grouper. Good thing there’s a fridge/freezer aboard Serendipity; he’s proving to be quite the hunter! Jessica fired off a few shots with the spear too, not bad for her first day. Brian hunted, and hunted, and hunted, until…he nailed a hog fish. Wheee hoo! 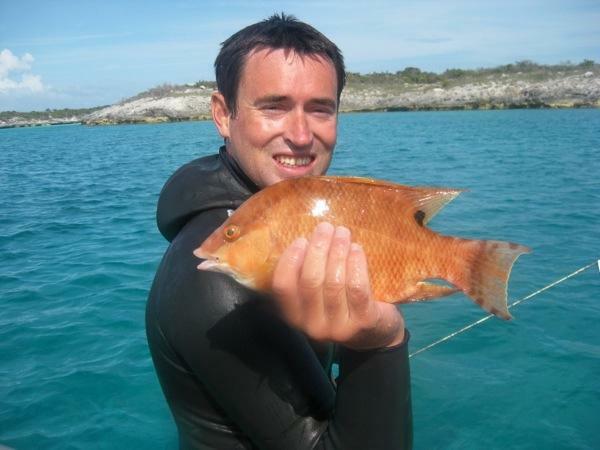 One of his life-list fishes and according to our good friend, Scott (sv/Anthyllide), good eats! Back at Rode Trip we had our work cut out for us preparing the evening’s meal. 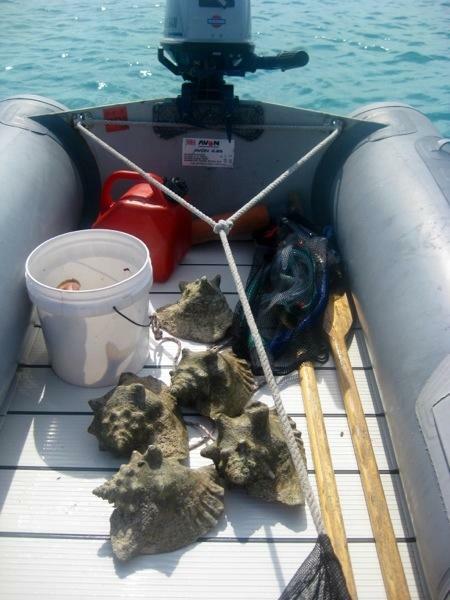 Brian and Matt went to work preparing the conch so that Jessica and I could pulverize it so the meat would be tender. Brian and Matt each broadened their horizons, and their manhood, by swallowing down the conch stile which is supposed to have properties similar to that of viagra – yikes! Fortunately for Jessica and me, the guys’ energy was focused on prepping, frying, and eating conch and fish as the next four hours breezed by. 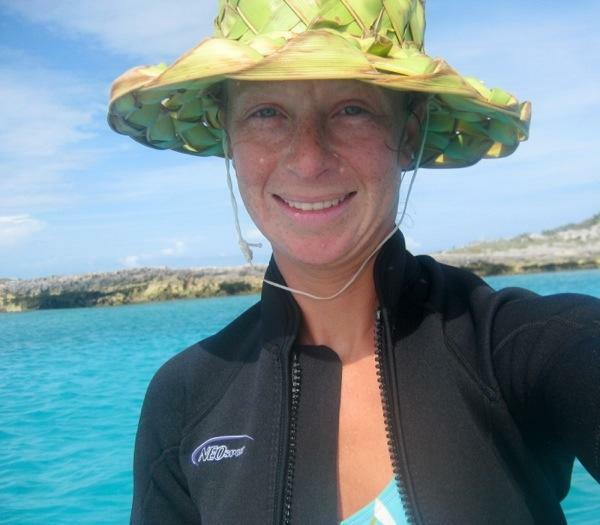 Later that night those dreadful swells returned and Rode Trip was rolling around at anchor. The educated guess among us is that the swells are related to the change in tide; the water is wrapping around the corners of the little coves as the tides rise because there is more water than the height of the surrounding coral reefs can fend off. The swells come and go about every 6-hours which coincides with the changing tide. 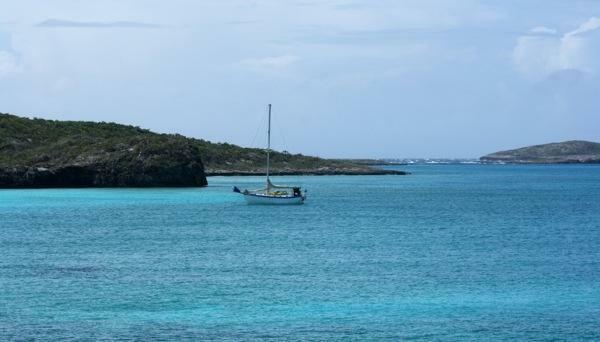 This entry was posted in Uncategorized and tagged 20130409, bahamas, flamingo cay, jumentos cays by stephanie. Bookmark the permalink. Boy, you guys are close to Hogsty Reef….a better place than it sounds. Make sure you stop there for good spearfishing. 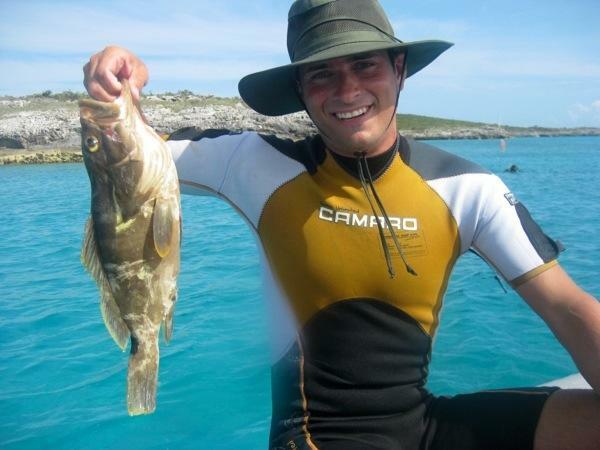 When I was 19 (a long long time ago) I speared a Nassau grouper that feed 20 people. You guys are making me relive some cool stuff. I love hearing about your adventures! That’s a HUGE grouper…the winds weren’t in our favor for a stop at the reef, but we really enjoyed visiting Great Inagua (I’ll be sure to blog all the details soon).